Tree ordering for 2019 is now closed. Community Roots is one way PPL Electric Utilities is taking action to improve the communities it serves. And we’re doing it with trees. Local governments and environmentally-focused groups can visit pplcommunityroots.com to order free trees. 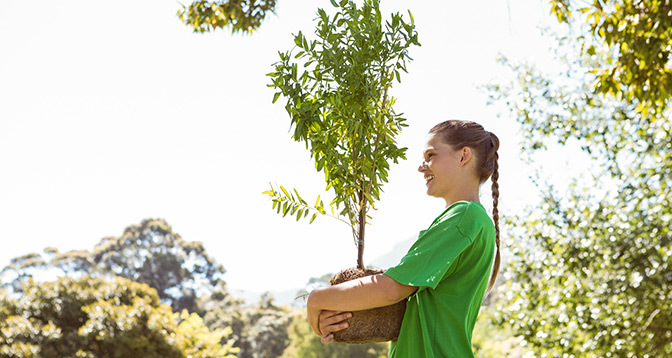 Plus, schools can also order trees for their fourth-grade students. Trees have many benefits, including helping to reduce air pollution. In addition, they provide much-needed shade in parks and other green spaces and beautify our neighborhoods. Schools and other qualifying groups can visit www.pplcommunityroots.com and use the online ordering tool to place their tree order. There is no cost to receive the trees, which will be distributed on a first-come, first-served basis. When a year’s quantity of trees is claimed, requesters still looking for trees can opt for a future year. Trees will generally be available for spring and fall planting each year and orders must be placed by the listed seasonal deadlines. Penn E&R, an environmental consultant, is assisting PPL with Community Roots.